Zen Mozaic: art or just plain ugly? The new Creative ZEN Mozaic portable media player for video, music and photos has just been released. Its design is based on the awe inspiring mosaic art of ancient Greece, but somehow Creative has missed the point. The new ZEN Mozaic, with its 1.8-inch LCD colour screen, weighs only 43g but comes in 79.5mm x 40mm x 12.8mm of ugly. Whether the strange mosaic keypad comes in alarming pink, boring grey or simple black, as you might be able to tell, it doesn’t push any of my buttons. The new Creative ZEN Mozaic will last for 32 hours of audio playback and supports the usual contenders for audio formats: MP3, WMA, and WMA-DRM 10. 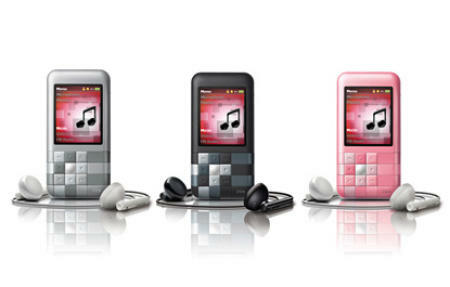 There is nothing really about this portable media player which makes it stand out from the crowd apart from its looks. The ZEN Mozaic is billed to be for those who have a sense of fashion and individual style, so it would appear like many fashion models this little ZEN is relying on its looks to get by in the world. If you do have a sense of fashion and want a device which will match your pink handbag with the little dog in it you can pick up the 2GB model for S$99 or the 4GB model for S$129. Although there will 8GB and 16GB models available later I would save my money and buy a Creative ZEN X-Fi instead. Creative ZEN Mozaic will be available in Singapore in August; there are no release dates for other places yet.